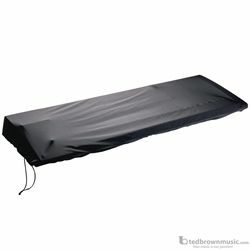 Stretchy cover fits 61-note and 76-note keyboards. It helps protect keyboard from dust. Constructed of stretchy Lycra/Spandex with adjustable shock cord for a snug fit and is hand washable.